Angular claims to be very fast by default. What does “fast” really mean? Of course, this always depends on the context. What does our application do? How many different things is it doing at a certain point? How is our application’s component tree structured and how many bindings does it introduce? This and other questions come into play when trying to figure out, how we can make our applications faster. Here's a quick intro into the basic building blocks of Angular 2, along with a look-back at the changes from Angular 1. 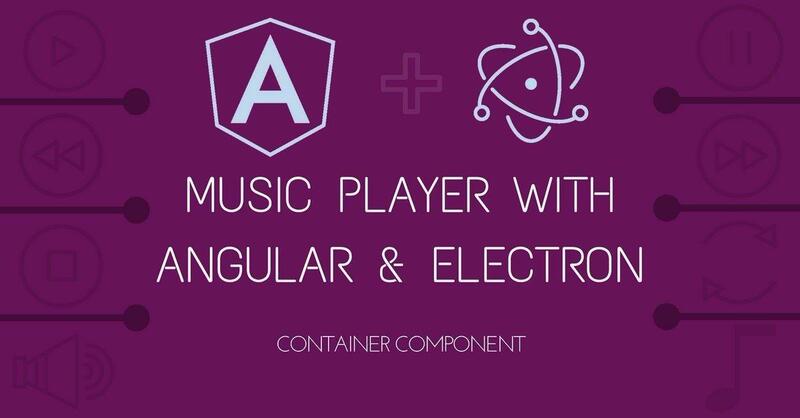 This post is the last part of "Build a Music Player with Angular and Electron." In the previous post we discussed presentation components which are also known as UI components. We were able to build out the UI for our app from start to finish but then users don't consume pretty UI. Users will always want behavior in as much as they appreciate a good looking app. The other day, Ben was using Slack on his iPhone when he noticed that the emoticon "Reaction" buttons have a fun little animation that is not present in the desktop version. While the desktop version shows static reaction "counts", the mobile version elegantly animates the incrementing and the decrementing of each reaction value. He thought this would be a fun interaction to try and reproduce with Angular 2's animation support.